Whether you call it “Yili“, “Ili“, “Yining” or even the historical name “Ghulja“, one thing is for sure: it’s definitely worth traveling to this unique part of Xinjiang, China. In fact, if you’re planning to head out this way, I’d like to provide some suggestions on 5 places you should put on your itinerary while you’re here. Most people tend to focus most of their attention on places like Turpan or Kashgar, but they fail to realize that there is just as much ethnic diversity and history in a lesser-known place like Yili. While traveling around Yili recently I met a number of friendly Uyghur, Kazakh and even Mongol people. I also spent some time exploring the ancient capital of the Xinjiang region which is about 30km west of Yining city. Overall, I came away with an overwhelming impression that Yili is truly an under-appreciated travel gem among international tourists. The key, however, is to explore it while avoiding the Chinese tourism crowd. This is where I’d like to help: not only would I like to introduce you to my five favorite destinations throughout Yili, but I’d like to share with you how you can experience them without the tourist trappings that come with Chinese tourists. 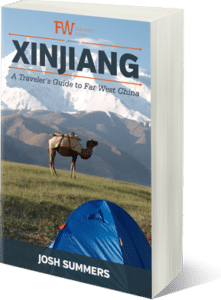 SPECIAL NOTE: The travel advice and tips you’ll read here are just a portion of the Yili chapter of my best-selling Xinjiang Travel Guide. If you plan to be traveling to Xinjiang anytime in the future, grab a copy of this comprehensive guide so you can save both time and money while seeing one of the most fascinating regions in China. To begin, check out the video I produced while traveling to Yili, subscribe the FarWestChina YouTube channel and then read on! Note on the Names: It’s possible that there might be confusion with the names in this region. To set things straight: the name of the region is “Yili” or “Ili” (in Chinese 伊犁) whereas the primary city in Yili is called “Yining” (伊宁). Historically the city was also known as “Ghulja”, which is the local name still used by many of the Uyghur and Kazakh of the area. 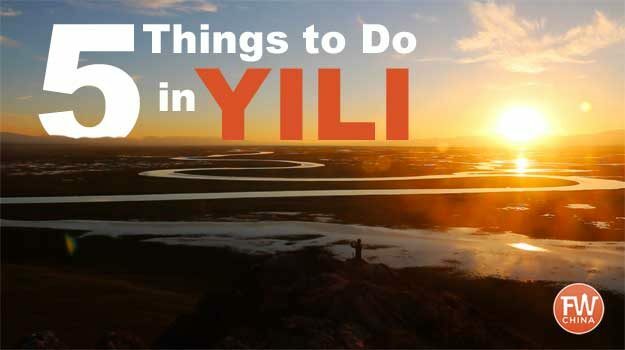 Now that you’ve had a chance to see the video, check out the list of my top 5 recommended travel destinations for Yili, Xinjiang. Sayram Lake (aka Sailimu Hu or 赛里木湖) is one of the first places people associate with the Yili region, even though it’s technically part of the Bortala prefecture. Still, it’s only an hour and a half from Yining by bus or taxi so I’ll lump the two together. It’s both the largest and highest alpine lake in all of Xinjiang, but that doesn’t matter to travelers as much as the amazing views (I consider it one of the best lake views in Xinjiang). 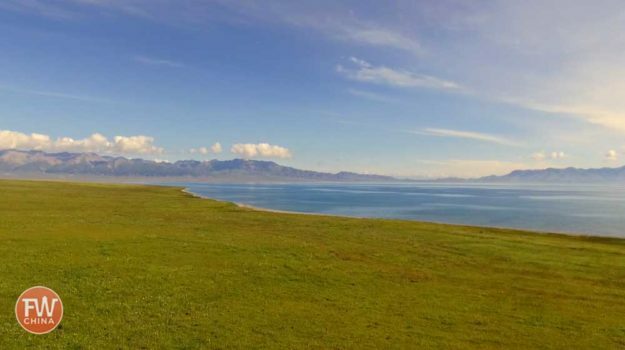 Sayram Lake is surrounded by grasslands, guarded by the snow-capped TianShan and covered by an endless blue sky. 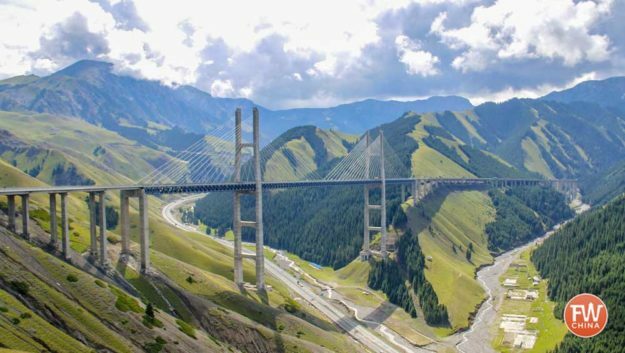 As an added bonus, the road which passes through the Fruit Valley (果子沟) between Yining and Sayram Lake boasts one of the most incredible bridges in all of China. The entire road is a feast of visual beauty. FWC Exclusive Travel Tip: There is a lot of this lake that is getting developed for tourism but thankfully the lake is so big that it’s still possible to get away. You’ll have to pay the entrance fee to the lake (70 RMB/person) which will give you access to seemingly limitless shoreline to set up tent or stay in a secluded yurt. The next place that should certainly make it onto your Yili travel itinerary is one of the many lively and verdant grasslands that sit high among the beautiful Tianshan range of mountain peaks. Perhaps you’ve heard of the Narat Grasslands or the Bayinbulak Grasslands, both of which are popular tourist destinations and are mentioned in most major guide books. These are both great places to visit, but most people don’t realize that there are a numerous grasslands surrounding Yili that are both beautiful and in many cases more remote and quiet. 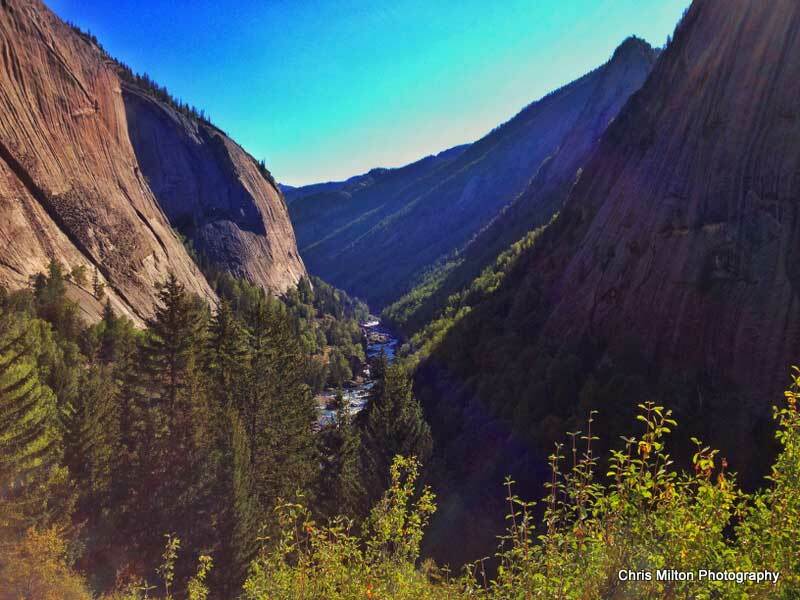 Stay in a yurt, hike, ride a horse, participate a local ethnic festival…there’s plenty to do! FWC Exclusive Traveler Tip: Both Narat and Bayinbulak are absolutely gorgeous places to visit, but if you want to get away from the tourism, it’s best to book one of the lesser-known grasslands. Talk with a local travel agent about arranging a trip to an alternate, more secluded place. It is possible and you’ll love it! 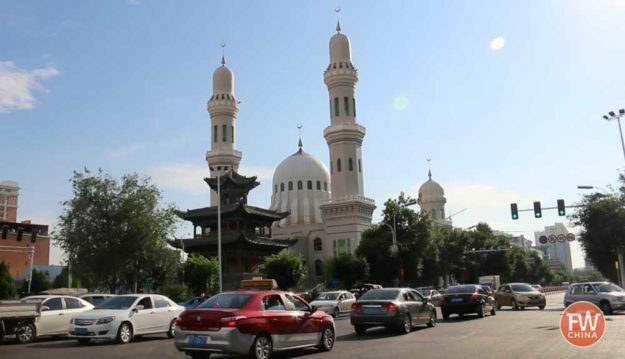 The Baytullah Mosque (aka Baitula or 拜吐拉清真寺) is hard to miss in the center of Yining. It’s not much of a place to stop and spend time, however it’s certainly interesting to pass by and take a picture. What fascinates me most is the juxtaposition of the old and new architecture here. The old building you see in the foreground is a Hui mosque while the larger and newer building in the back is a Uyghur structure. FWC Travel Tip: Come on Fridays or during holidays to see the prayers. The Kazanqi Handicraft Market (喀赞其) in central Yining is an interesting – albeit touristy – place to stop in the city. 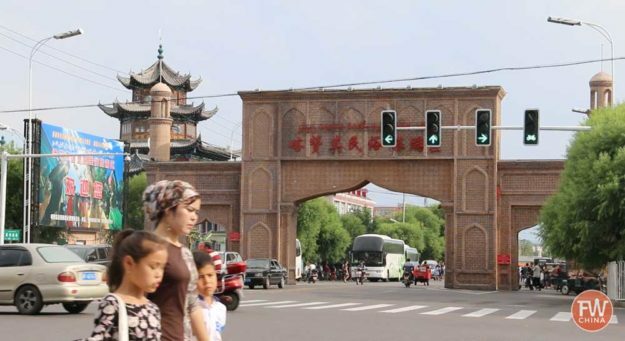 Aside from the old Hui mosque you can see in the background of the picture above, the Kazanqi market is a pleasant place for an afternoon stroll in Yining. There are plenty of souvenirs to buy (leather shoes, animal skins, horse riding gear, etc.) in addition to the variety of snacks and fruits to buy. FWC Exclusive Travel Tip: Make sure to visit in the late afternoon or later. Yining can get extremely hot during the summer months! Finally, the last destination on this list is the Yili River Bridge (伊犁河大桥). Before this bridge was built, there was only a single, two-lane bridge that crossed the Yili River. Now, at over 2 kilometers in length, the Yili River Bridge is one of China’s largest. 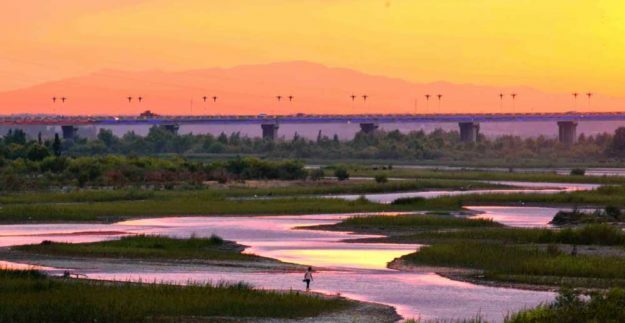 If you have an evening to spend in Yining, don’t forget to take a stroll along the river walk near the Yining bridge. It’s here where locals relax, eat and enjoy the cool of the evening and the view of the bridge. Of course, there is plenty more to see and do around Yili and I have no hesitation in recommending a few days around the area if you can afford the time. There’s plenty of interesting history, Kazakh culture and more to keep you busy. If you want to learn more about this an many other places around Xinjiang, you should grab a copy of the FarWestChina Xinjiang Travel Guide, the most comprehensive and up-to-date guide available on this part of the world. Better yet, download a free planning chapter from the guide to give it a try before you buy. I promise you won’t be disappointed! Hey Josh, tx 4 sharing. Since you just did this beautiful trip, can you post a few words on day/night temperatures? I am a sr, so will not be cycling but my friends and I would consider a leisurely tour through this area. Josh, with your incredible photo shots, cutting-edge videos, and winsome personality, you make the remote areas of China as accessible as Yosemite or Yellowstone. Kudos! –was a sleepy town where the single crowd-drawing attraction was watching an American getting a haircut in the lone barber shop. Awesome production Josh. Very inviting. Was just in Yining and Khorgos. Big fan of Yining, visited the last 3 spots you mention. Yining is super green and loved the architecture as well. We just went to YiLi from July 5-July 7. Beautiful memories! We went to the Lavender garden, Sailimu lake, and Nalati Grassland. On the way back, we drove through the 216 Road (by the glacier) … that was once in a life time experience! How much do I need to stay there? I am not a big spender. I believe there is a direct bus from Yining to Buerjin (the town closest to Kanas). If you’d rather, you can also take a train from Yining to Kuitun and then transfer to a train that goes up to Beitun. From both Buerjin or Beitun, you’ll still have a bit of a bus/taxi ride to get to the gate of Kanas Park. Hope that helps! Wow Yili looks great! 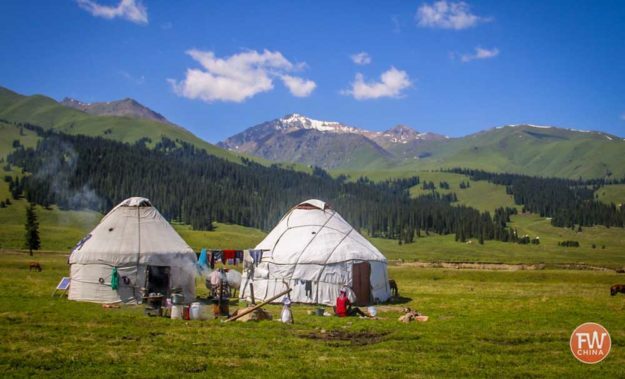 I’m heading to Xinjiang next month, and super keen on staying in the yurts and soaking in some nature. Do you know where I can book a yurt stay at Sayram Lake? Or just heading to Yining city and finding something on the spot would suffice..? Love your site as it has so much information for travellers. I’m looking into going along Highway 216 but the tour guide I have been in touch with says it is closed /under construction until Baluntai – do you know if that is current information? Unfortunately, it is Alison. So sorry! I’m not sure how much longer the construction will last. Hi Josh, I am wonderinf about the Apricot blossom in Yili. I am having a hard time finding any kind of information like when to go, where to stay and even how to arrive. Do you have post written about it? Hi Dada, thanks for the comment. Apricots usually blossom around early-mid April, but it’s never the same each year (which is probably why you don’t see much information about it). It’s best to stay around the Narat grasslands but unfortunately I don’t have a post written about it. You can read more about my suggestions on how to see it in the FarWestChina Xinjiang travel guide. I hope that helps! I am looking for a reliable local tour operator based in Yining who can communicate English or Japanese (I am fluent in both languages). There are no local tour operators in Yining that I”m aware of. I recommend checking out Old Road Tours based in Kashgar as a great option. They have people in Yining that can help and speak English.